CARLSBAD, CA. – July 1 2014 – LIFE Ionizers. 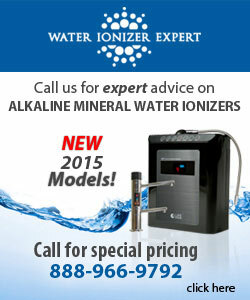 (www.LifeIonizers.com) announces they will be releasing new models of their popular M-Series water ionizers in early June. LIFE originally planned to roll out the new 2015 Next Generation M-Series this September, but has decided on an early release due to encouraging results field tests of the new 5 and 13 plate units. layers of Platinum over Industrial Titanium. The New 2015 Next Generation M-Series has been completely redesigned from the case to the power chamber. Ionizer controls have been moved to the top, and the LCD display is larger and easier to read. Under the Counter LIFE Ionizer M-Series get a completely redesigned stainless steel faucet which complements the look of modern kitchens, and features new, easier to read user controls. LIFE Ionizers is releasing two more Next Generation M-Series water ionizers – the M5 basic unit and the M13 high volume unit for situations where high flow as well as high -ORP and pH are required. The M-13 is LIFE’s top-of-the-line model which features 13 large MAX Plates™ . The M-7 and M-9 are LIFE’s 2014 mid-range models which features 7 and 9 large MAX Plates™. These were released late last year and have proven to be highly reliable Life Water Ionizers™. Higher power and larger plates allow LIFE’s Next Generation M-Series to make alkaline water with higher pH and negative antioxidant potential (-ORP). Testing of the new M-13 reveals that it can produce alkaline water with a pH that can adjust up to 12.0 and an antioxidant potential of up to -880 or more at the machine’s highest optimized settings. Less capable ionizers do not produce the optimized alkaline mineral water that produce the Next Generation’s highest antioxidant potential at drinkable pH levels. EarthTrade Water™ manufactures many well-known healthy water products including Life Water Ionizers™ which are sold worldwide. 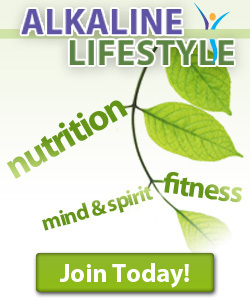 They also manufactures and distributes “all things water”™ including home filtration systems like the Dolphin Whole Home Filtration System™; “Pitcher of Life™” alkaline water pitcher; Dr. Life Vortex Water Optimizer™; a full line of BPA free water bottles including the Water for Life™ bottle; and many other high quality products. For more information on the LIFE Ionizer’s Next Generation M-Series, visit: http://www.lifeionizers.com/next-generation-m-series.html or call (888) 688-8889.